Menace 18U is looking for outfielders for their 2019 Spring season. For more information, please contact Coach David Guereca at 509-859-9762 or menacenw@gmail.com. Rebels 16U is looking for 2 more players for their 2019 Summer season. Please, contact coach at depsalms374@yahoo.com to schedule a try out. Storm 14U is looking for 2 more players for their 2019 Spring/Summer season. 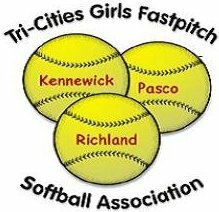 Please contact coach Lacey Unseth at tcstorm14usoftball@gmail.com or 509-366-4726. Menace 12U is looking for an experienced pitcher for their 2019 Summer roster. For more information, contact Coach Chris La Plante at 509-554-2065 or menace12u@gmail.com. Please note that TCGFSA is not affiliated with any competitive team.